This little post is my entry for Weekend Herb Blogging, a weekly event started by Kalyn that encourages food bloggers to talk about herbs and spices, fruits and vegetables. I use WHB as an excuse to bring new foods into my kitchen and explore their uses. This week, the host for WHB is Becky from Key Lime and Coconut! My journey to falafel bliss has been a long winding road! The first time I tasted falafel was in the early years of grad school. 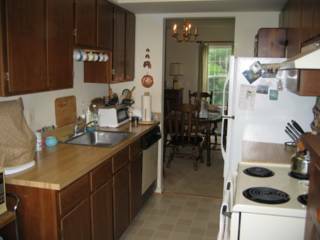 At that time, I shared my apartment with a wonderful neuroscience student named Steph (also a vegetarian), and she and I took turns cooking dinner for our little family (and for the assortment of friends and neighbors who dropped in from time to time). We worked long hours and earned little, but ate like princesses, huge hearty gourmet meals cooked from scratch. Well, almost. Every couple of weeks, Steph would make falafel from a boxed mix. It was really quite good (or so I thought at the time), and we would generally enjoy it with some store-bought hummus or plain yogurt. Falafel is a very popular street food in NYC, and I often ate it on the run while out shopping in the city from the little carts on street corners. What kept me from trying to make falafel from scratch was the fact that I did not own a food processor. Now that I do own one, I wanted to revisit falafel and try making my own. After all, it is a delicious and nutritious sandwich, and a crowd-pleaser at that. So, off I went on a google search for a good recipe and boy, did I strike gold with this recipe! It is called My favorite falafel recipe, and all I have to say is, Mine, too!. Falafel is the easiest thing in the world to make, but you just need to plan ahead a little bit. The recipe calls for soaked chickpeas, which takes about 8-10 hours if you soak in cool/warm water and 4-6 hours if you use boiling hot water. The idea is get the chickpeas rehydrated all the way through. I liked a tip that I found on this website: To check is the chickpeas are soaked all the way through, cut one open. 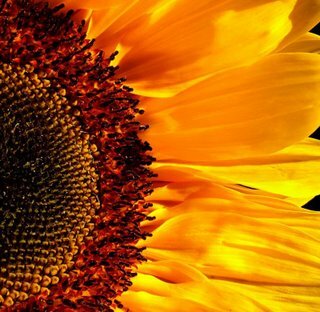 If the color is even, without a chalky center, then it is fully soaked. I followed the falafel recipe to the letter. The soaked raw chickpeas are placed in a food processor with other aromatic goodies like herbs, garlic, onion and cumin. A few pulses later, you have a beautiful mixture. Then a bit of flour and baking powder is sprinkled and the mixture pulled together into a ball that rests in the refrigerator for a few hours. This means that you can get all the prep done ahead of time. When you are ready to serve the falafel, heat up some oil and fry them up. I was very impressed by how non-greasy the falafel were, once they were drained onto paper towels! Do keep the oil on medium heat (and not high) so that the outside of the falafel does not get browned too quickly, before the inside gets cooked. The true highlight of our falafel meal was the tahini sauce. A Mediterranean restaurant around the corner here serves their falafel with a choice of hummus or yogurt sauce. I really enjoyed the yogurt sauce and wanted to recreate it at home. Tahini is probably a staple in many kitchens, and an everyday ingredient for some, but I never really had to buy it before now. Whisk together 1/2 cup yogurt (I used low-fat), 1/2 cup tahini, 2 tbsp lemon juice, 1 minced garlic clove, 1/2 tsp cumin powder and salt to taste. Add a few tablespoons of water if the sauce looks too thick. That's it. When I made this sauce and tasted it, I danced a little jig around the kitchen. It was so good, I knew the whole falafel party was sure to be a success just based on that one sauce. The final touch for the falafel sandwiches: a simple salad. Cut the following vegetables into small dice: 2 seedless baby cucumbers, 3 plum tomatoes,, half yellow bell pepper, half red bell pepper and half onion. 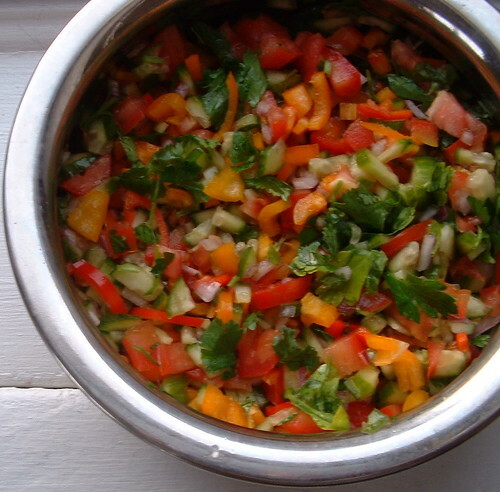 Toss the vegetables with salt, pepper, minced parsley, minced cilantro and a dash of fresh lemon juice. Finally, to assemble falafel sandwiches, simply toast some pita pockets (I used whole-wheat for the lovely taste, store-bought though). Slip 2-4 falafel into the pita, then garnish with lots of salad and a generous drizzle of the tahini sauce. Serve right away. The taste was so authentic and spot-on! Next time, I'm going to try making my own pita bread. Falafel is a great option for feeding a crowd, like I did...I doubled the recipe, set everything out and let people assemble their own sandwiches, and everyone enjoyed every bite. The tahini sauce is so delicious, in future I will use it as a dip for a platter of vegetable crudites and pita chips. You can leave the pita bread out and simply serve the falafel with salad and tahinin sauce as an appetizer. I'm so glad I found this recipe! P.S. : I'm excited to be Bookworm of the week over at The Perfect Pantry. Thank you, Lydia, for the opportunity to share my favorite food-related books! You just made my day! 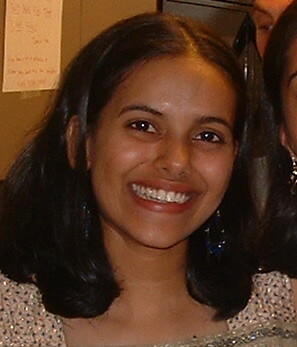 Hi Nupur, I could almost see you dancing that little jig -- I know just the feeling! That yogurt dip sounds like just the thing to make happy feet as well as happy taste buds :) Thanks for the falafel tips too. That is one dish I have never loved; possibly because I have only tasted hard, dried out variety. One of these days maybe I'll try it at home. Linda, I totally agree...it is too easy to find hard, chewy, horrible falafel. But this recipe really is worth trying! I was so delighted at this tender falafel, crispy-crunchy on the outside, soft and tasty on the inside. In one of my cooking groups, we did a falafel taste test: our own homemade vs. a boxed mix that was recommended by the owner of a middle eastern market (and she is a fabulous cook, by the way). Hands down, the mix falafels won! We tried our homemade two ways, with chick peas and with favas. Both paled in comparison to the ones made from the mix. And the time we saved....well worth it. So now I understand why the store owner raised an eyebrow when I said we were making falafel from scratch! hi nupur, loved the writeup and pictures! 'danced a little jig' - isn't it exciting when you hit the exact taste that u were imagining it wud be? i mk a version of falafel using sourcream & pakoda filling with the salad, will blog @ it soon. Yum, yum, yum. I wish I could come right over and taste them. I love falafel, but never tried making it myself. I have a favorite restaurant where I order it. And guess what, I'm also doing Tahini this week for WHB! I love the sound of this sauce with a bit of cumin, will try it for sure. WOW Nupur, I bet anyone who has never tasted falafel before would also fall in love with it with the way you have described it here. Hi Nupur - that whole meal sounds perfect! Your salad is just beautiful and together with the sauce and falafel...mmmm. I know with other frying you've made do with less oil - I noticed this recipe calls for three inches of oil. Did you really use that much? Lydia, how fascinating! 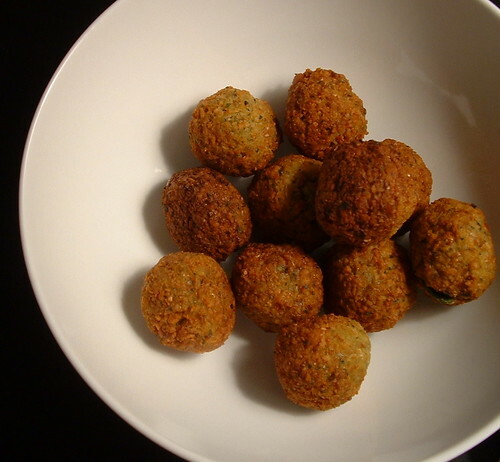 Falafel are one boxed food that is quite tasty and reliable. But to my palate, this recipe for the fresh home-made falafel with the fresh onion, garlic and herbs was very delicious. Richa, Glad you like it :) For me, hitting the right taste can put me in a good mood for days :) Waiting to see your falafel recipe...it sounds fantastic! Kalyn, I could not find a restaurant here in St. Louis that makes falafel that I really like, hence the urge to make my own. Love your version of the tahini sauce, I will try that next! Priya, Glad to have persuaded you :D I think you will love this once you make it! Some recipes are just keepers, and this is one. I love Falafel. When we were living in the Middle East, I ate the stuff almost everyday and took it for granted. I have never gotten around to making it myself but the recipe sounds too good not to. Nupur you are a genius! finally, a tried and tested recipe for taratour sauce. thank you. Hey Nupur, I had dinner with a friend at a mediterranian restaurant this week, and she was telling me that she wants to make falafel and Tahini sauce at home. What a coincidence that you published a great recipe the next day! I am sending this link to her. Thanks! You make my mouth water! 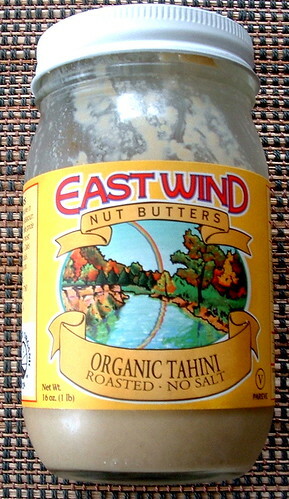 Since Kalyn and you introduced this tahini to me, I´ll be on the look out to find it. Meanwhlie I´ll link to this post not to lose the recipe. Meeta, it is amazingly easy to make! Joan Nathan, who wrote this recipe, certainly is a genius! Bee, I had no idea that tahini sauce is also called taratour sauce! Cute name! Sig, thanks for sending the link! I think your friend will really enjoy the recipe. 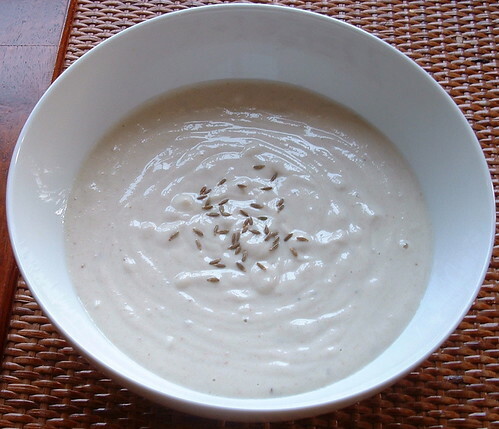 Helene, tahini is very delicious and totally worth seeking out! Thanks for visiting! Here is a fun story for you. A few days ago one of my blog readers sent me a Falafel recipe. She said it was SB diet friendly (she used ww flour) and she also baked the falafel. I decided to try it and wanted a sauce to serve it with so I googled Tahini sauce. I found your recipe (which I had long since forgotten about) and discovered you had used the same recipe! Then I knew I had to try it. WOW! The falafel and the sauce were both great. I doubled the herbs in the falafel but didn't change the sauce at all. Will post my version this week with links to your blog of course. Now I just wish we could have a meal of this together! Hey; i have a quick suggestion which i added when i followed your recipe. If you would spread some Tahini sause evenly on the Pita Bread first before putting falafels, it would taste great.